Goodwill Holidays is one the most venerated travel company located in New Delhi. 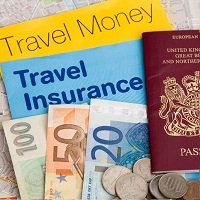 The travelers can avail our Travel Insurance Services at very reasonable charges. All our policies include assistance for emergencies such as accidents, repatriation, loss of passport, loss or delay of baggage, etc. We also offer customized travel insurances and also provide specially crafted policies for senior citizens. Our long list of clients includes students, families, individuals, corporate executives, senior citizens and business people. All our insurances are easy to attain!